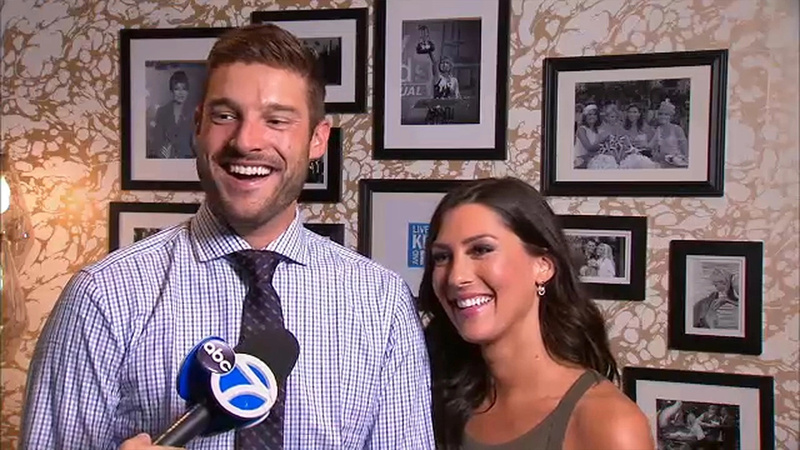 After emerging the winner in The Bachelorette, Garret Yrigoyen was quizzed about his social media behavior and personal beliefs when he and the star Becc Kufrin official became a couple after he proposed to her on the final episode. During the live post-finale show, After the Final Rose, Yrigoyen had the opportunity to dully address the controversy. The Host Chris Harrison, apart from asking Kufrin and Yrigoyen about their relationship, also went ahead and further prompted him to talk about the online scandal and clarify his statement. 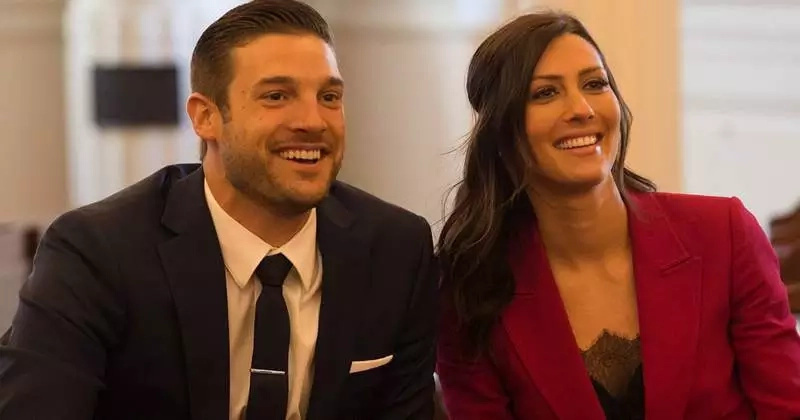 Yrigoyen said that he was still on the journey of growth as a person and together with his new fiancé Becca Kufrin they will learn from the mistake and move on with their lives. The details of the scandal weren’t mentioned on the show, something that left many viewers confused and posting questions on Twitter. The said posts that Garret Yrigoyen liked on social media were said to mock undocumented immigrants, liberal feminists, the transgender community and actually spread misinformation about Parkland Florida shooting survivor David Hogg. Those posts were of course in stark contrast with what Kufrin believed in since she is open about her political views as evident in her support for Hillary Clinton and the Women’s March. That Tuesday, after a light-hearted appearance on Live With Kelly and a more hard-hitting stop at Good Morning America, both on ABC, the newly engaged reality stars answered lingering questions from the previous night. Speaking to reporters, including The Hollywood Reporter, on a conference call, Yrigoyen explained why he followed the Instagram accounts in the first place. THR then sat down with the pair to dig deeper into what Yrigoyen has learned about himself and how his and Kufrin’s potentially differing views have impacted their relationship. “I’ve always considered myself to be an open-minded person, accepting of everybody. I love everybody. I’m a genuine guy,” he told THR (watch in the video player, above). Yrigoyen credited Kufrin for educating him as their courtship continued off-camera. “She’s helping me grow and become better because she’s so understanding, not only of me but of other peoples’ views as well,” he said. “She helps me see that side of things and it helps me say, ‘Oh, I didn’t understand that that’s what could have happened or come from it.’ She helps me see that and get past it and move forward.” Kufrin continued to defend their relationship, shedding light on some of the private conversations they had after getting engaged and how she has watched Yrigoyen evolve. 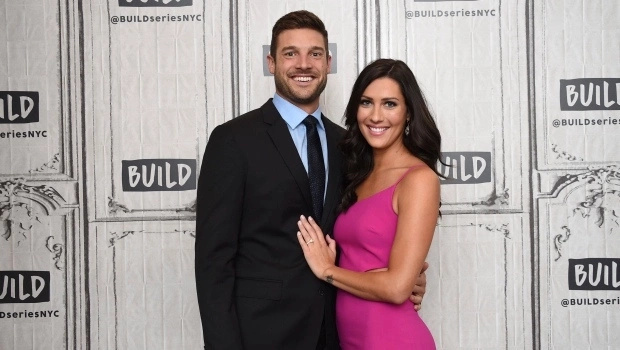 Kufrin has admitted that her relationship with Yrigoyen took longer to develop than that of her runner-up, Blake Horstmann, and Yrigoyen said that their end-of-the-season trip to Thailand was when they connected during conversations that didn’t make it to air. “When we got to Thailand, we got to spend some extra time with one another,” he said. “We got to know each other on a deeper level and that’s when my love for her grew even stronger. I knew, even though we didn’t see eye to eye on necessarily everything, we can still find a common ground and work through it with one another.” Kufrin added, “I have things that are really important to me in my life, and he does, too. One conversation that was left on the cutting-room floor was a recorded reunion with her ex, former Bachelor Arie Luyendyk Jr. Though Kufrin teased his return ahead of the season, and Luyendyk flew out to the Maldives with his fiancee, Lauren Burnham, the moment never made it to air. “The conversation was brief and it was us wishing each other the best and moving on in our lives,” said Kufrin, adding that she is “indifferent” about the moment being cut. Now, Kufrin and Yrigoyen are mulling options for where they plan to settle down — leaning toward Los Angeles — and while they haven’t made any long-term plans, they aren’t ruling out a return to the franchise with a TV wedding down the line. As for who should be the next Bachelor, Yrigoyen’s vote goes to Jason Tartick, who placed third on Kufrin’s season. And despite their love story being rocked by the off-air controversy, both Kufrin and Yrigoyen feel that the ABC franchise should not change its rule about letting the lead have access to the internet or social media throughout the process. When any doubts about this couple lasting comes, all you need to do is look at them and you will see that their relationship is indeed built on solid, solid foundation as Yrigoyen put it.